Nora Kroll-Rosenbaum is a Grammy Award-winning and Juilliard-trained composer. She was born in New York City. She grew up listening to classical music “by the pound,” as well as enjoying musical theater and film music. She is greatly skilled and immensely talented. In this interview Nora talks about her creative experiences, and the relationships and impressions that have influenced her and her work. She talks about her professional accomplishments, including the inception of VisionIntoArt, a New York City-based non-profit production company she started with Paola Prestini while they attended the Juilliard School. For this edition of Beyond Casual Observation I decided to post only this interview and follow up next time with a special look at a film whose sound design and soundtrack created an immense soundscape. I am honored to have been able to talk to Nora and appreciate the time she made for this interview. I enjoyed working with her on this, and I hope you enjoy reading it. Scene Point Blank: In a technical sense, what are the differences between a composer, a score coordinator, and a score mixer? Nora Kroll-Rosenbaum: I love participating in music-making in a lot of different ways. Recording, mixing, composing, designing and realizing scores, all parts of creating a score I find to be very fulfilling. I have found more and more that the deep technical stuff, especially when it comes to mixing and recording, has permeated the way I compose. From the start of a score I think in a holistic sense -- how can the way we record be a part of the sound of the score? How can the mix reflect the intention of the film. And how can the production of the music be organic to the composition of the soundtrack? Scene Point Blank: You studied under the late Milton Babbit, whose own career saw many advances in technology and its application in electronic music. How has your career and your art been affected by music technologies? Nora Kroll-Rosenbaum: I use music technology every day but I also use pencil and paper. They are both equally important. The technology let's you listen back, especially in longer forms, and I find that immensely useful. I like seeing music on a page while I work and so staff paper and pencil is an important tool for me. I work in pro tools and I love how easy it is to collaborate with musicians all over the world. Milton was an incredible teacher. He really taught me how to think and ask questions of how and why we create the music that we create. He was more interested in the questions than the answers. This way of thinking is enormously important to me. It means music is full of possibilities and choices. Scene Point Blank: Fans can look at your credits and observe your career ascent, but please describe a memorable moment or decision from any point in your education/career. Nora Kroll-Rosenbaum: I have had so many wonderful experiences! I love working with musicians. I have to say that there is a distinct "high" that comes from conducting a big orchestra. It energizes me and it feels like the sports version of composing. I love collaborating with my spouse, composer Laura Karpman. We have had so many unbelievable musical experiences together, from recording Jessye Norman, to Questlove, to traveling with Raphael Saadiq and Common to Cuba, to winning a Grammy, to collaborating on scoring, to mixing her music for Underground, and beyond. And we just built a new studio. We built a transparent amazing studio on the sand at the beach in LA. So whereas a lot of people have cave-like spaces, we have created this magnificent big bright light-filled space for creating music. And building the studio was a major accomplishment and we are having the best time in this new inspiring space. Scene Point Blank: Film and music are distributed through many mediums, each with their own limitations. What would you say is the most ideal environment and set-up to listen to a piece of music at home? Nora Kroll-Rosenbaum: Probably realistically for most people would be headphones or in the car. I like listening back to mixes in a lot of different situations -- you hear differently. Listening back on a laptop is probably the main way people listen and so the mixes have to sound good and full in that situation as well as in the big beefy studio speaker setup. Scene Point Blank: There are intangibles to live performances that are often summed up with descriptions relating to energy and a personal connection to the audience. What do you find compelling about the live music experience as a performer, and additionally as a spectator? Nora Kroll-Rosenbaum: Music still sounds different live than it does recorded. I think part of the existential thing about music is this feeling of witnessing something unfolding in real time. When you are listening to a great film score, it's as though the music is literally seeping or falling out of the drama. This feeling, for me, is heightened in a live situation. Anything can happen: someone can cough; time can grow slower and slower; there is a sense of being present that is electrifying. I try to infuse that feeling in the recording that do. Scene Point Blank: Can you go back to the beginnings of VisionIntoArt and describe why it was important to you and a bit about its purpose? Nora Kroll Rosenbaum: In 1999, I was studying composition at Juilliard. My classmate, Paola Prestini, was also there in the same program. Paola and I were great friends and we started VisionIntoArt as the seed of an idea about how artists could collaborate across disciplines. At first the idea was about a different kind of school, one that wasn't based in the separation of art forms but based in the content of work. We took that spark and put it into this collective of artists and performed shows all over the country. We experimented with multimedia and worked with brilliant musicians, poets, dancers, composers and filmmakers. VisionIntoArt has gone on to find its home at National Sawdust in Brooklyn. And in my work I have found that everything about these seeds of collaboration have transposed into the work I do in film music. Collaboration is collaboration, whether in a live medium or a recorded one, and I think as composers, Paola and I are both deeply influenced by narrative. Scene Point Blank: I want to ask a couple questions particularly about Stockholm, Pennsylvania. This film is based on a harrowing true story. How did you tap into the heart of the film to compose the score? Did you collaborate with the filmmaker while composing? Nora Kroll Rosenbaum: Nikole Beckwith directed Stockholm, Pennsylvania. She is such a great filmmaker with a very clear vision about the aesthetics of the film and the motivation of its characters. I worked with Nikole at Sundance on developing a very transparent, almost ancient sound. Leia (the main character played by Saoirse Ronan) was never to be judged. We needed to feel through her eyes, through her gaze, see the world for the first time. I felt very connected to Leia as I wrote. Scene Point Blank: Scoring strengthens the bond of the viewer’s emotions to that which occurs on screen. Composing is a deep craft and requires dedication. What is your advice to aspiring composers? Nora Kroll-Rosenbaum: Work hard but invest in all parts of your life, including having a family. That's important too. I am married to Laura Karpman, who is a brilliant composer, and we have a son. I feel tremendously privileged to earn a living in music It is remarkable to be able to make music every day. We work very hard and that's a great thing. I'll add that we, as a film community, need to create more opportunities for women composers. My male colleagues have opportunities that my female colleagues do not. In this era of Trump and people being willing to speak out against political corruption and disrupt the terrible state of our country's so-called leadership, we must do the work within our own backyard to create opportunities, fight for equal pay, and support panels, festivals, and studios that reflect the tremendous talent and diversity in the film scoring community. 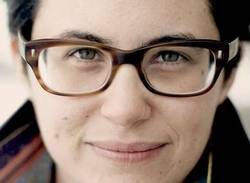 An additional and special thanks to the Sundance Institute for helping our writer connect with Nora Kroll-Rosenbaum for this interview. The Sundance Institute is doing wonderful things with its Film and Film Music programs to nurture talent by creating an environment where talented individuals can grow their professional skills. These efforts come to life each summer during the Sundance Institute Music and Sound Design Lab. 2017 marked the fifth year in which these labs were held at Skywalker Sound where composers in the program (paired with a director from the film program) are able to work with the marvelous team at Skywalker Sound to work on a project, achieving the vision behind the Sundance Institute's programs. Words by BJ Rochinich on Nov. 6, 2017, 3:23 p.m.
Posted by BJ Rochinich on Nov. 6, 2017, 3:23 p.m.